The clock is ticking and we’re getting closer to Google I/O 2013 and probably the next Nexus handset. Bob Freking proposes a fresh concept, the Motorola X Phone, that’s shown below and has specs close to the leaked/real ones. This reminds me a lot of an older Nokia concept and I find it interesting that the entire smartphone seems embedded into a big slab of metal. The device features a 1.8 GHz quad core CPU, most likely a Snapdragon 800, 4 GB of RAM and a huge 5000 mAh battery, although something like 4000 mAh or 3500 mAh sounds more realistic. The case of the Motorola Nexus X Phone is made of scratchproof stainless steel and at the back we’ve got a 9 megapixel camera with 18-55 mm lens. Upfront there’s a 5 inch 1080p Super AMOLED display and pricing for this model starts at $299 in the 8 GB version, according to Bob Freking. 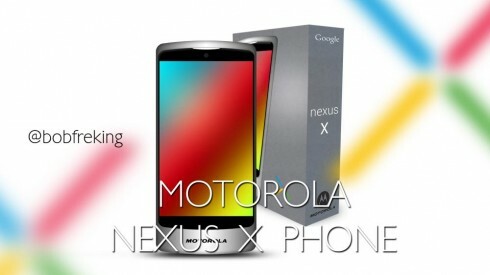 Would you buy this 2013 Nexus?